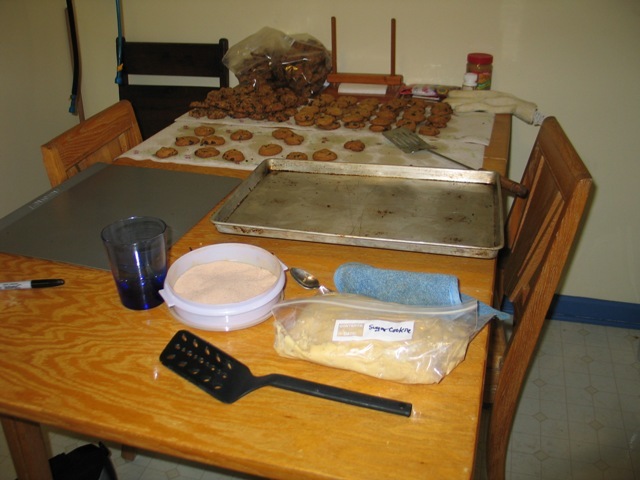 Last weekend I baked cookies. Lots of cookies. I've already given most of them away. Jim and I could absolutely eat all of the cookies, however, we really don't need to. 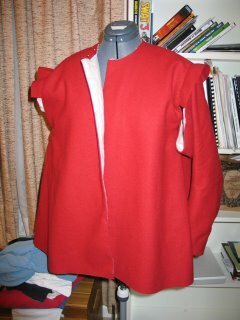 I've also been doing a little bit of non-Christmas sewing. 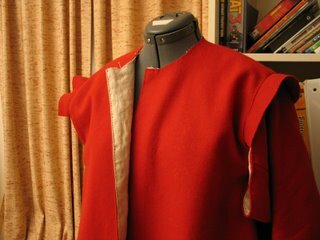 This is a red wool cassock, lined with linen. I had hoped to get it done before Foods and Feasts at Jamestown, but that didn't happen. I still have to put on the collar and do button holes and buttons. 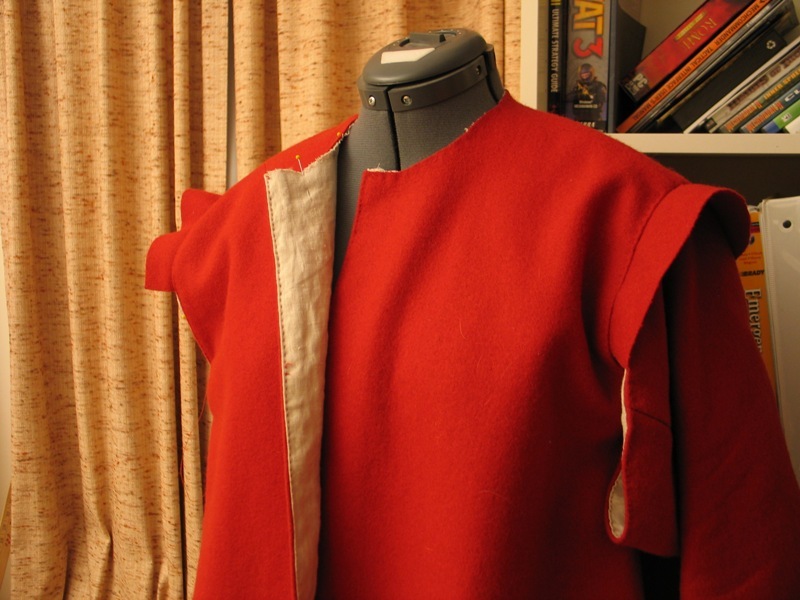 I'm doing a bit of hand sewing on this as well, so it's taking a little longer. It will be nice and warm when it's done! I've got baking, sewing, and woodworking all going on this month. But I can't tell you about the sewing and the woodworking because they are Christmas presents. And they read this blog. The baking I'm doing are Christmas cookies for us and for a friend. I've made all cookie dough for the various cookies I'm making and it's all now in the freezer. That way I can bake cookies when I have time in two weeks. So no pictures yet. Just can't tell you about the rest. Its a secret.